Bowing to pressure from both parties, President Obama has nominated the Most Interesting Man in the World to the U.S. Supreme Court. "His blood smells like cologne, he lives vicariously through himself, and his beard alone possesses more judicial wisdom than Clarence Thomas and Ruth Bader Ginsburg combined," Obama explained at a morning news conference. TMIMITW's legal philosophy is largely unknown, although he did file a friend of the court brief in 1991's landmark Tastes Great vs. Less Filling decision. 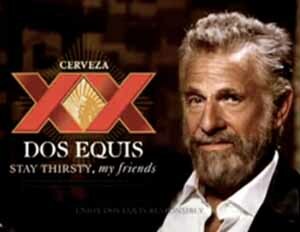 A handful of Republicans vowed to scrutinize the Dos Equis spokesman's record, but Obama said TMIMITW had been thoroughly vetted. "He once had an awkward moment, just to see how it feels, but that's it," the president insisted.